Posted in: Europe, Sicily. Tagged: island of Sicily, Sicily Tour. An in-depth exploration of the historic island of Sicily, whose strategic location has attracted great civilisations since the ancient times. Phoenicians, Greeks, Romans, Byzantines, Normans, Arabs and Spaniards have all left their legacy on this magical land at the crossroads of the Mediterranean. 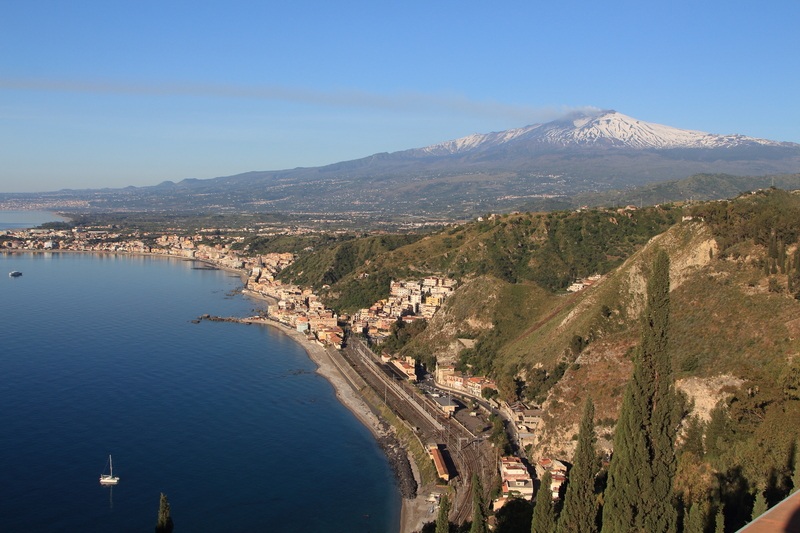 The Sicilian landscape is quite breathtaking, particularly at this time of year when its diverse range of flowers are in bloom and its stunning topography includes the still snow capped Mount Etna. We will also be able to sample some of the locally produced food and wine that has made Sicily so gastronomically famous!